Is it possible to organize freelancers' names, taking in consideration the languages they work with? A. By clicking Search on the Main tab of the Freelancer window. B. By clicking Search on the Freelance Team tab of the Project window. 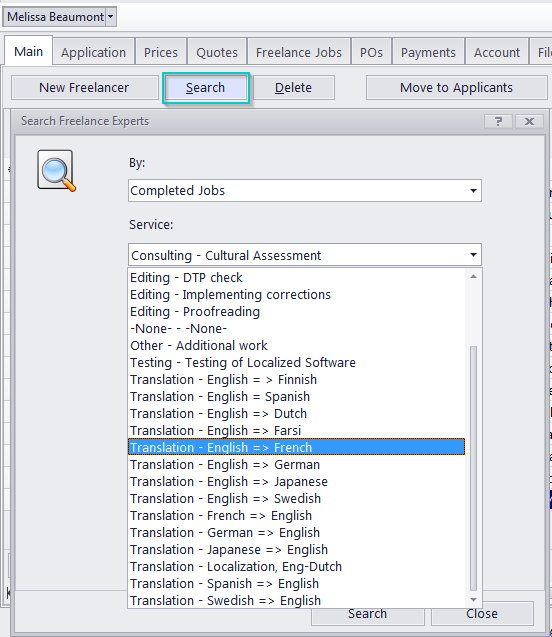 This special Search function will allow you to find freelancers which have performed specific services (e.g. translated specific language pairs) for you.